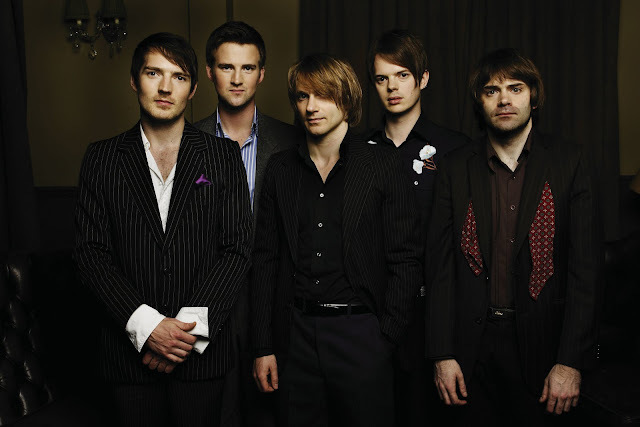 One of my favorite British bands, The Feeling is getting ready to release their third studio album, Together We Were Made, on June 19th. This is exciting for a number of reasons...FIRST being...it means that we have new music from The Feeling. SECOND, the band has collaborated with UK house music production duo the Freemasons. THIRD, the band has collaborated with electro-pop diva (and wife of bassist Richard Jones), Sophie Ellis-Bextor on a song called "Leave Me Out." FOURTH, the band has ALSO collaborated with Irish electro-pop singer Róisín Murphy on a song called "Dance For The Lights." AHHHHHHHHHHHHHHHHHHHHH!!!!!! All of these combined factors are getting me quite riled up over this new album! It sounds like a masterpiece in the making. The band worked on the new album with producer Bob Ezrin (Alice Cooper, Aerosmith, 30 Seconds To Mars, Fefe Dobson) and plans to release the first official single, "Set My World On Fire" on May 1st. The single was written and produced by the band and served as the theme song to the 2011 Cricket World Cup (as you can see from the video below, prominently featuring the song). The song "fuses a refreshingly cynicism free brand of sunshine seeking Tropicalia with The Feelings distinctive guitar pop powerhouse sound." What's more, the song has been remixed for the clubs by Doman & Gooding (AKA James Doman & Pete Gooding). What a way to make a comeback! The Feeling have not only sold over 1 million albums in the UK alone, but also won the prestigious Ivor Novello award for 'Songwriters of the Year' in 2007 so it's high time we had something new to play on our iPods from these guys. From the sound of it, this album is going to be an epic pop/rock/dance masterpiece!! Listen to "Set My World On Fire" below and download it when it's released in the UK on May 1st (via MCA Music, Inc./Island Records). Beyoncé's new single has barely been out a week and the remixes are already coming out! First up we have a fabulous Steamweaver house treatment for Bey's new single, "Run The World (Girls)" which made it's digital debut last Friday. The jury's still out as to whether or not I like it the song or not. I'm leaning towards no...but it could be a grower. Give the Steamweaver remix a listen below. The song was produced by Switch, Beyoncé and Shea Taylor and written by Terius Nash, Beyoncé, Nick van de Wall, Wesley Pentz, David Taylor and Adidja Palmer. 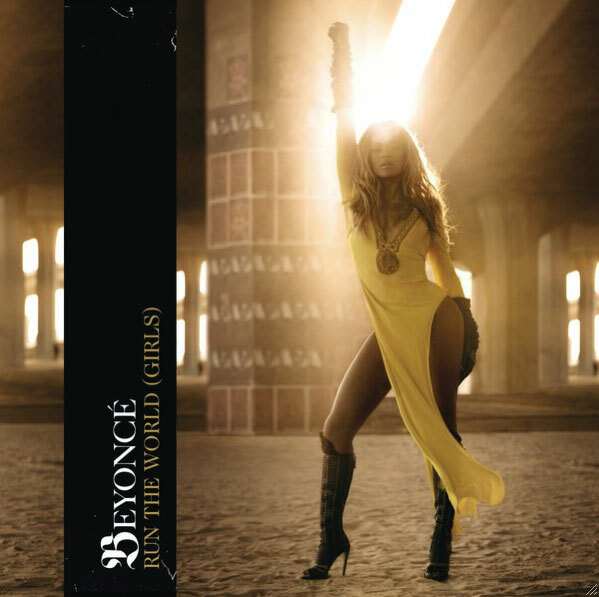 "Run The World (Girls)" is the lead single from Beyoncé's as yet untitled fourth studio album. The song heavily samples "Pon de Floor" by Major Lazer, mixing hip-hop, dancehall, pop and R&B genres. Basically, it's a big jumble of noise. Steamweaver's house take on the track definitely warms me up to the song but I'm still not 100% just yet. Check out the Steamweaver remix above. If you like what you hear, give them a download HERE Also make sure you download the single version on iTunes HERE. While part of me thinks he's trying to hard to stay hip, if that's where his heart is at right now musically speaking, then maybe it is genuine. Lord knows he still looks good, so I say more power to him. In addition to working on new solo material, Knight is also teaming up with his old band New Kids on the Block, who in turn is teaming up with The Backstreet Boys to form a mega-boy band - NKOTBSB. The two bands are going on tour together this summer. 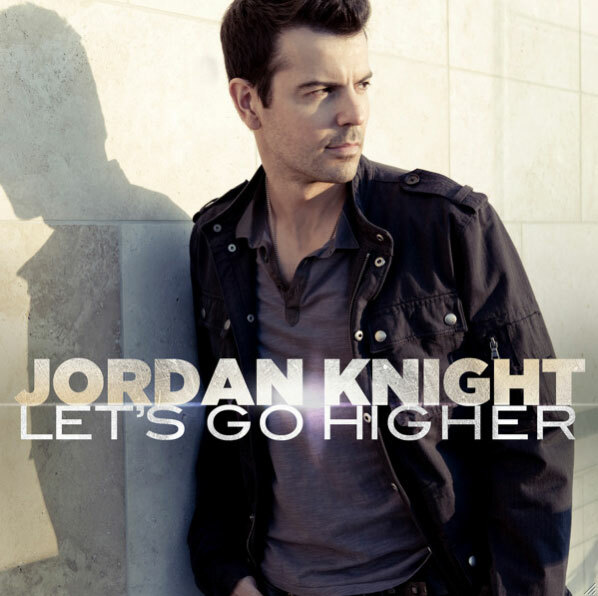 Check out the video for "Let's Go Higher" below and download the single on iTunes HERE. You can also download the first NKOTBSB single, "Don't Turn Out The Lights" on iTunes HERE. Check out this recently released lyric video for yet another amazing song off of Sky Ferreira's As If EP - "Traces." Written by Ferreira, Colin Munroe (Munroe also produced the track) and up and coming talent Neon Hitch, "Traces" is the fourth song off the EP to get a special lyric video. 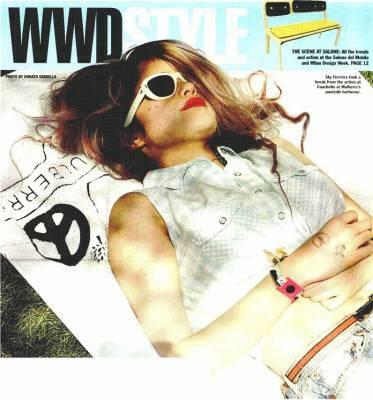 To see the other lyric videos, check out my last Sky Ferreira post and download the As If EP on iTunes HERE. While I've got your attention, check out our little musical fashionista on the cover of Women's Wear Daily for their Coachella issue. Lookin' hot girl! This is HUGE! Folktronica rising star (in America - established star in the UK) Ellie Goulding has been announced as the musical guest on Saturday Night Live, next Saturday May 7th. Ellie will be performing two songs on the sketch comedy show so tune into NBC at 11:30 PM/10:30 Central. Comedienne, actress and SNL alum Tina Fey is the host so there's no excuse NOT to watch. Ellie Goulding recently completed her first SOLD OUT US headlining tour, including stops at SXSW and Coachella. It was also announced that she would be performing at this year's Lollapalooza festival in my hometown, Chicago! Goulding, who just returned to Europe will jet back to New York to film SNL and then head back home for a string of dates in May, June and July, before flying back to the States to perform in August at Lollapalooza. Check out a list of upcoming dates below. Here's hoping she comes back to America for another string of solo gigs, but lord knows we need to get this girl back into the studio and record that sophomore record so I can be patient. I guess. Check out Ellie Goulding performing Elton John's "Your Song" on Jimmy Kimmel Live! below. If you caught Goulding on the show you might have missed the end of this performance, since it was clipped for time but you can catch it all here! Download Lights on iTunes HERE and don't forget to tune in to see Ellie on SNL next Saturday night!